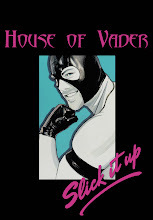 You can pick up either of these tees at Trophy Pony with a discount using coupon code "houseofvader". Photographed by Marco Ovando. Hey i want that FREE- Ice Cream shirt- getting a free SIU shirt wow thats great marketing :-) !!! !